No parent wants to give a child an asthma attack, which is probably why you clicked on this article, right? Even the thought of your son or daughter wheezing probably makes you start looking for an inhaler or nebulizer. Unfortunately, many parents are unaware of the many triggers and situations that can cause an asthma attack, and they could be giving their children asthma attacks without even realizing. 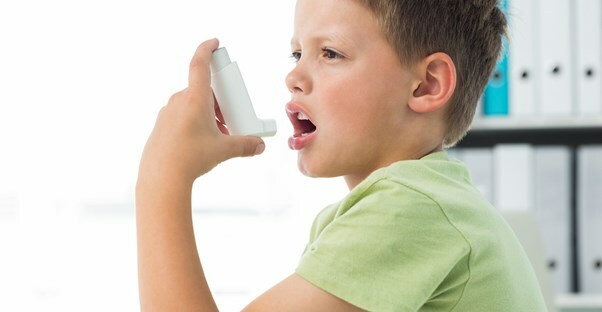 While you’re unlikely to hang a board of roaches above your son’s bed or force your daughter to endure the smoke of a bonfire in the living room, the ridiculous examples outlined below might open your eyes to the many asthma triggers all around your family. The triggers in these scenarios have been bolded so you can watch for them in your own home. Are you just itching to make those toilet paper roll holiday poppers you see all over Pinterest? Well, instead of confetti, fill yours with recycled ashes from the fireplace. Point in your child’s face and let the festivities begin—in the emergency room! Host a sick-child playdate. Gather as many mucous-oozing children with communicable illnesses as you can into your home and seat them around your dining room table along with your child. Play the game "heads up, seven-up," in which everyone goes around touching each other’s thumbs. Follow the game up with a snack—no handwashing—that’s sure to promote chest congestion such as cold milk, a communal bowl of crackers, and bananas. If it’s cold outside and your little one needs a scarf, dust mop your noncarpeted floors with it first before bundling up your kiddo. If you have wall-to-wall carpeting, you’re an overachiever when it comes to increasing the chances of causing an asthma attack. You may not be able to dust mop, but you can still snag some household dust by swiping the scarf across window sills, blinds, and baseboards. Tell your child that he or she will be extra warm with the added “insulation." Start a cat zoo and bird aviary in your child’s bedroom. Make sure the cats lay on your child’s bed all day and don’t bother cleaning out the bird cage—ever. Locking the felines in your child’s bedroom while he or she is at school will maximize the amount of dander deposited. Teach your child about entomology. Start several cockroach collections. If you’re short on roaches, start leaving crumbs on the floor and leave packaged foods unsealed in the pantry. Take your time with putting leftovers away and washing dirty dishes. You’re bound to find some roaches eventually. When you’ve assembled your entomology collection, hang them up proudly above your child’s bed. Don’t deprive your child of those lovely fragrances your great aunt Betty used to wear. Douse your neck with lots and lots of perfume before hugging your child. If you can spray it on while your child is strapped in the car and can’t make a run for it—even better! Burn incense and scented candles all over your home too. When it’s cold bring the great outdoors inside. Make a fire pit in the middle of your living room and roast smores! If you'd rather use the fireplace, at least keep the flu closed, so none of that smoke-fueled ambiance will escape. Turn your home into a tropical rainforest. Hang misters all over your house, turn up the heat, and let the humidity soar—this will encourage mold growth—the more the better!